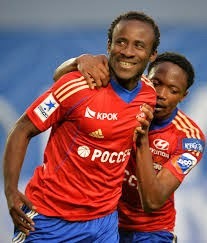 Russian Cup quarter finals as we see CSKA Moscow is the hot favourite, but still, cup game anything can happen! Overall, CSKA Moscow knowing defeating Krylya Sovetov which is a division below them to reach the semi-finals should be an easy meat! Krylya Sovetov got past Premier League team such as Krasnodar and Ural in their previous round, they could in theory cause isse to CSKA Moscow and well be scoring a goal too.